What do hundreds of abandoned metal mines and high electricity rates have in common? Well, in Michigan’s Upper Peninsula, research is underway that could adapt the contours of underground mines to harness pumped hydro storage. Surplus power would pump groundwater, which tends to flood mines when they are abandoned, up an incline. When energy demands are higher, the water would drop down the mine shafts through turbines that churn out electricity. Michigan Technological University, with funding by the Alfred P. Sloan Foundation, is studying whether communities could transform abandoned mines into valuable energy storage. University researchers are partnering with the Marquette County city of Negaunee, population 4,500, on a pilot project that could help mining communities turn liabilities into assets. Professors and students will investigate whether an underground pumped hydro storage facility is technologically, environmentally, and economically feasible. They will design such a facility and will translate their findings for policymakers and developers. If all goes as planned, the goal is to develop a nationwide map of old mines that might be suitable for storing energy, said Roman Sidortsov, an associate professor of energy policy at Michigan Tech. Public concerns with the ecological impacts of water diversions and impoundments, combined with resistance to infrastructure development by neighboring property owners, has often meant that permitting utility-scale systems is difficult. “If we move the entire system below ground and make it self-contained, there would be no effect on surface water flow, ecological systems, or landscapes and scenic views. An underground pumped hydro storage system might be essentially invisible,” Sidortsov said. The American West is rife with abandoned mines, a legacy of policies like the 1862 Homestead Act and 1872 Mining Law that enabled the settling of the region and triggered a seemingly lawless development of resources. Numerous companies and individuals abandoned many mines after extracting their precious minerals. The most concerning situation created by abandoned mines is their threat to water resources, namely acid mine drainage, which is highly acidic wastewater that is toxic to fish and other aquatic species. It can also pose major threats to human health. The EPA estimates that 40% of the West’s headwater watersheds have been polluted by mining. Hundreds of thousands more mines exist across the country. Preliminary research suggests the Negaunee mine alone, where the research will focus, could store enough electricity to power Negaunee and surrounding cities for several hours. 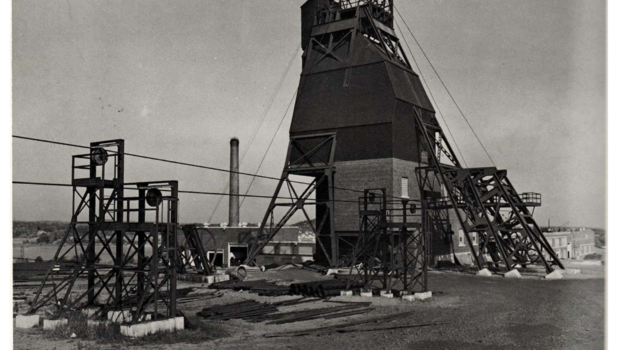 The project could offer inexpensive heating and cooling to businesses and facilities, which could attract potential employers while commemorating the region’s mining heritage. Indeed, the Upper Peninsula’s biggest electric company — Upper Peninsula Power Company, which serves 54,000 residents in 10 counties — has some of the highest rates in the country, second only to Hawaii. 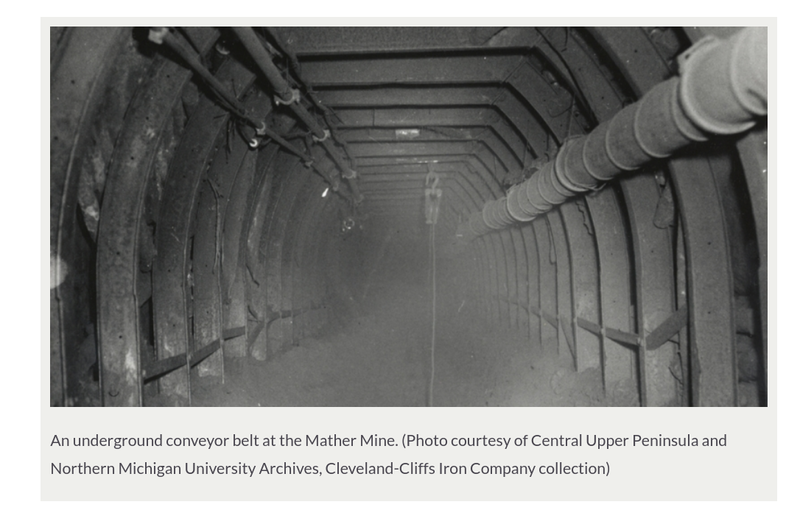 The 2-year pilot project will focus on the Mather B iron mine, which closed in 1979 and whose former administrative offices are now a high school. “We do not need to come up with something revolutionary or different, because our confidence is that the existing technology will work,” Sidortsov acknowledged. The Mather Mine is in a efficacious spot because it’s split between a flooded lower level and a dry upper level where equipment could sit and water could be stored. Many other mines offer similar contours. The Tech researchers said they would hold community meetings throughout the project to make sure residents could offer input and have opportunities to come to understand the work being done. 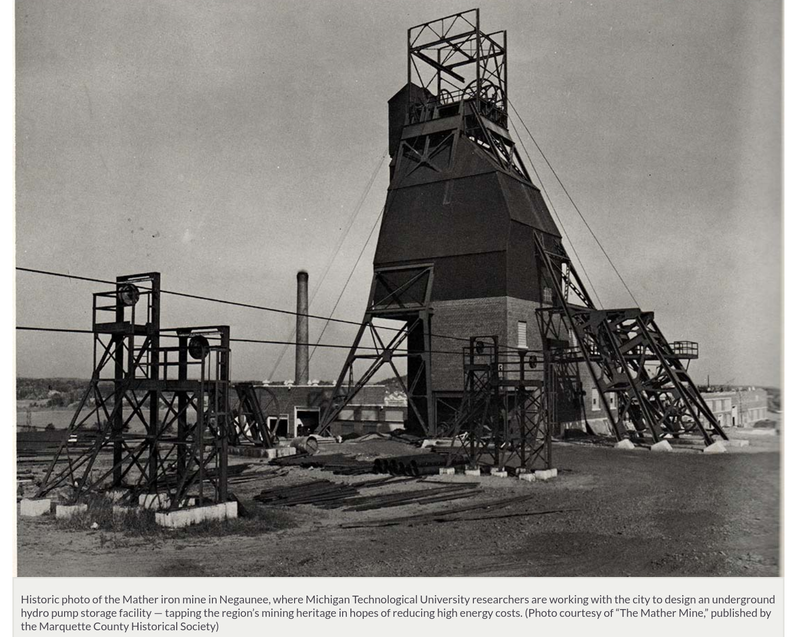 Learning about the Negaunee’s history and community has helped the Tech team narrow its focus to Mather mine, rather than disturbing the remnants of another mine, — the latter of which was the site of a devastating accident long ago that left miners entombed. Working with the community from the onset of the project could help developers avoid work stoppage and limit costs that might result from community resistance. “If it goes national, given what we know about the size, it could be a game changer,” Sidortsov said. Shout out for the original inspiration for the story to Bridge: Michigan’s Environmental Watch. Unless otherwise noted, images copyright free via Pixabay.